Yay! It's Wednesday.. halfway thru the week!! I would like to give a huge 'Thank You!' to everyone who had wished my husband a 'Happy Birthday'. He actually read each and every comment and was super happy with all the sweet wishes. You guys are the best! Made becoming older a little bit easier. ;) We celebrated with a nice dinner of steak and sea scallops then for dessert we went to a fondue restaurant for lots of chocolate.. we definitely had a lot of sweets in one night! haha..
You can probably tell from the background that the weather is still being bi-polar with all the rain. I wasn't about to get my hair all wet so this was the best I can do with taking photos. haha... good enough until the weather gets better (whenever that is). Anyways, I love this outfit because I wore two metallic pieces (top and skirt) and paired it with some burgundy tights to give it a color break with the neutral colors. Just a great way to wear metallic without going overboard with the shininess. How do you like to wear metallic? 1. When we first met, we were 19 years old. I didn't foresee us being together later on because he was all dressed up from head to toe in denim. hahaha... Years later, we met up again (then started to date) and now I do all the clothes shopping for him! 2. He is the king of R&B/Hip-hop mixtapes.. you know the ones you hear "DJ Clue..." busting in the background.. yep, he loves those. He always has to be in the know of new mixtapes that are out. For me, I just buy my music off of itunes. 4. He was a tennis instructor (second job) when we first started to date and did private lessons on the side. Me - I am not sporty nor do I play tennis.. ever! So when he first wanted to teach me, I wore flip flops onto the tennis court. Then second time around, I hit all the balls literally over the fence and onto the streets.. yeah.. good thing he had lots of backup tennis balls. He said I'm lucky that I'm cute! I love charities especially ones towards an amazing cause! Kinda when I did this post which was why I bought them for a children's charity. I find it very invigorating and it makes me super happy inside to know that what you've donated or help raise for can possibly be making a huge difference in someone else's life. 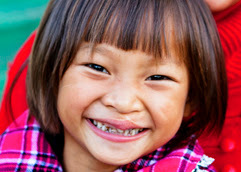 So when CampusBookRentals.com reached out to me to ask me to write about Operation Smile.. that was something I really felt would be helpful for all of us to know about at least. 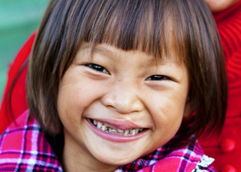 Disclaimer: CampusBookRentals is sponsoring this post to talk about their partner - Operation Smile. Lately my cozy snood from H&M has been my bestest friend. I got it down in Cali when I went to Disneyland for only $7!! Major deals right there! ;) It's been keeping my bare neck warm from the chilly winds and freezing temps here in Seattle. I know I can go on and on about the PNW weather but it's FREEZING I tell ya! How is everyone else's weather? I swear it feels like it's going to snow but nothing! Also, I've been loving my leopard print loafers that I had to get at Target. They're surprisingly pretty comfy and I've been wearing it more often than I thought I would with my outfits. I never been one to even love animal prints but this season I'm all about it! hahaha.. strange how your taste changes..
What is a style you never thought you would like but can't get enough of now? This may come as a bit of a surprise to you but I started out loving to sing and dance at the tender age of 4! Our dad would always videotape me singing and dancing to his vinyl records. My favorite of course was Madonna and MJ! And judging by the old home videos, this was almost a daily activity for me.. (hey maybe I like to perform for my imaginary friends!). So here I show you a clip of it.. You can see my lip-synching action, mad dancing skills (swaying back and forth) and my lovely fashion sense of the stripped top layered underneath the grey. Paired with my awesome red pants and crossbody bag. Hope you guys enjoyed my version of "Dress You Up" by Madonna for Flashback Friday! Thanks to my sister for spending hours converting our old home videos. How would you style a tweed blazer?